The food on your bar's menu may be top of the line, but customers are looking for more than just an excellent hamburger from their bar of choice. If you want to impress customers and keep them returning for more, it's important to combine great food with great entertainment. Why Do Customers Need Entertainment? 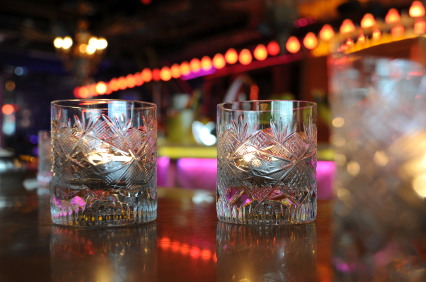 Adding entertainment to your bar is an important part of running a successful establishment. Because customers are likely to visit your bar for the experience rather than the tastiness of your menu items, entertainment is a must-have. You can easily add entertainment by investing in televisions, live music, or organized game nights for your bar. A bar is not complete without several huge television screens tuned to the most popular sports networks on the air. The combination of sporting events and bars is inseparably linked in the minds of the average consumer. Customers will turn out in droves if your bar is airing a popular playoff game, championship game, prize fight, or well-known rivalry game. Live music is one of the most effective ways to get customers in the doors of your bar. Music is a great facilitator for conversation and fun in a bar. Live music adds energy and enthusiasm to the atmosphere of your bar, so consumers will be more likely to have an enjoyable experience. With live music, customers are more likely to stay throughout the evening, and this adds to the profits you'll make for the night. You can also require customers to pay a cover charge before entering your live music bar if the act you have lined up is a headlining act with a large following. One type of bar entertainment that is spreading like wildfire throughout the world is the popularity of organized game nights at a bar. These organized nights provide bar customers with something to do while enjoying food and beverages with friends. It has also been suggested that organized game nights can eliminate unnecessary fights or brawls in a bar establishment. Trivia nights are one of the most popular types of organized game nights. Customers who come to your bar can enter their table into a trivia tournament. General trivia questions in different categories are asked, and the winning team is usually given some sort of prize. You can give gift cards as prizes as this will encourage customers to return in order to spend the gift card. It will also keep customers coming back to try to win more trivia prizes. Great food is an important part of a successful bar, but great entertainment is also a necessity. Customers who visit a bar establishment are there for the experience, rather than the food. Customers want to be entertained and delighted as they enjoy their alcoholic beverages, snack on deliciously indulgent pub food, and enjoy conversation throughout the night. Adding a few entertainment acts or events to your bar's lineup will keep customers coming through the doors on a regular basis.